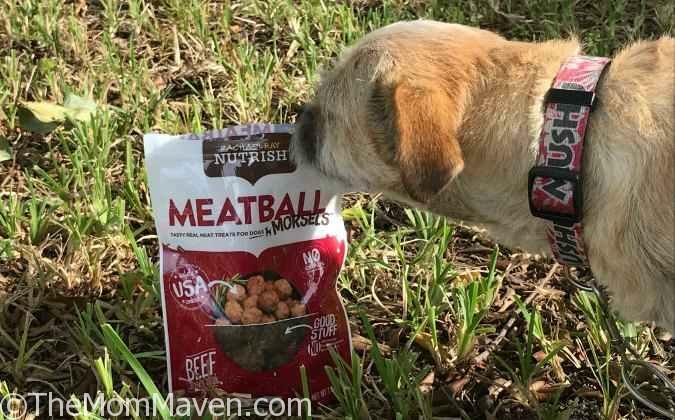 We were running out of Mushu’s favorite treats so we were happy to see that her favorite brand, Rachel Ray Nutrish, had a product available for review this month. 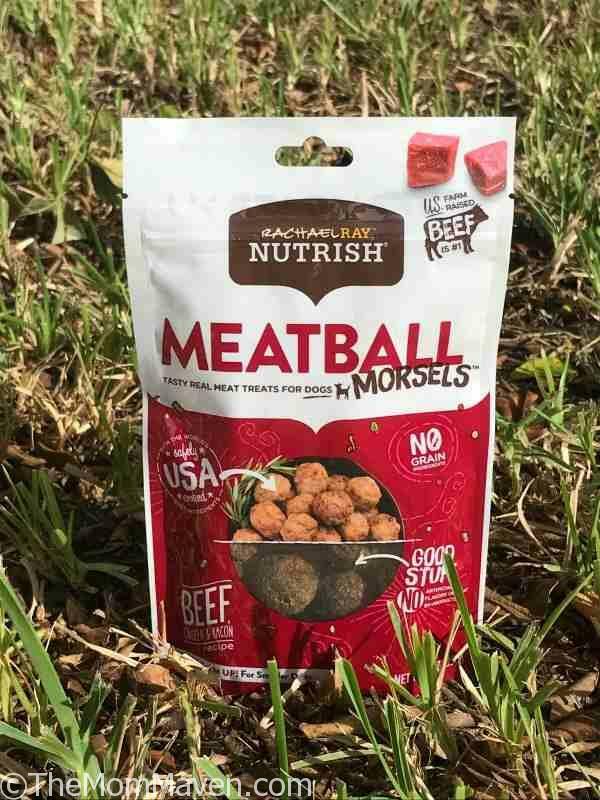 We chose the Rachel Ray Nutrish Meatball Morsels. Mushu has loved every Rachel Ray Nutrish product she has ever tried so we were pretty sure this one would be a hit. The Rachael Ray Nutrish Meatball Morsels, Beef, Chicken & Bacon Recipe Dog Treats are cooked to taste like a homestyle meatball – just like Rachael would make in her own kitchen – these morsels are made with USA farm-raised beef as the first ingredient, plus real chicken and bacon for the flavor dogs go wild for. They’re great as a snack or treat for any-size pup, and can be broken up for smaller dogs or to use for training, too. A portion of the proceeds helps animals in need by supporting Rachael’s Rescue. I love feeding Mushu anything from the Rachel Ray Nutrish line because I trust the brand. Mushu is on a grain-free diet and I trust the ingredients will be safe for her to consume. Mushu is a smaller dog so she does better when we rip these meaty soft treats in half before giving them to her. I know Mushu thinks these treats are special because she doesn’t gobble them up. When she wants to savor a treat she takes it to her bed or her blankets on the couch and eats it in small nibbles or buries it until the time is just right. That is exactly what she does when we give her the Rachel Ray Nutrish Meatball Morsels. We will be getting these again from Chewy.com to keep Mushu happy.